Aspen Pine Cone 2 Tier Chandelier. Our rustic 2 tier pine cone chandelier is the smaller version of our grand 3 tier chandelier. Bring the beauty of nature to your great room, dining room or foyer with this rustic pine cone chandelier. Aspen Pine Cone 2 Tier Chandelier. Our rustic 2 tier pine cone chandelier is the smaller version of our grand 3 tier chandelier. Bring the beauty of nature to your great room, dining room or foyer with this rustic pine cone chandelier. 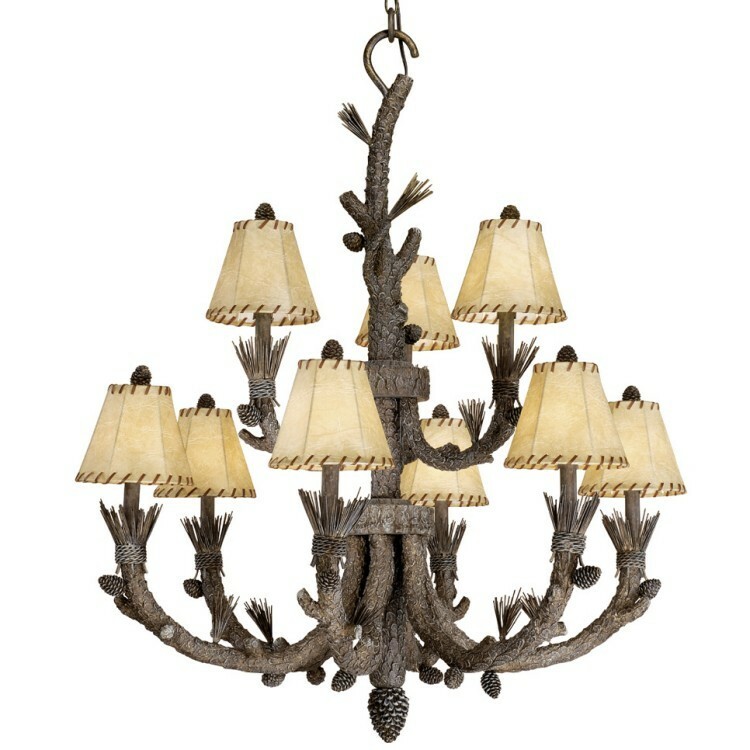 A gray pine cone finish and faux leather laced shades add the finishing touch to this lodge style chandelier.